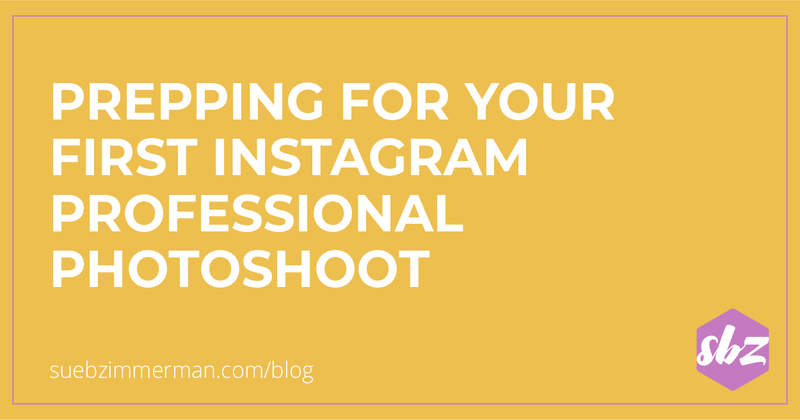 Drooling over Instagram photos and not sure how to capture your own? 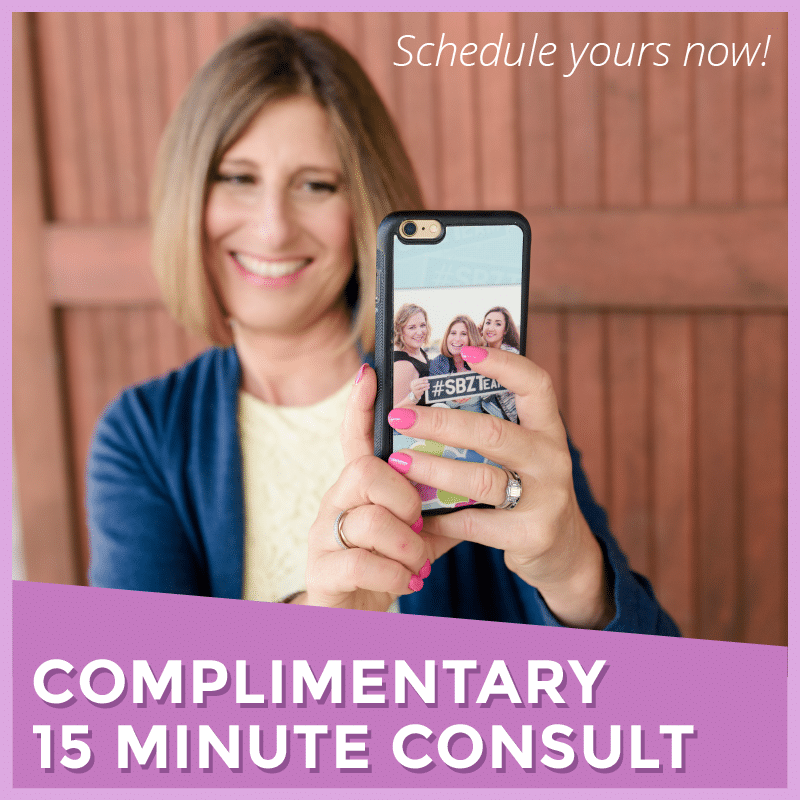 It’s probably time for you to invest in a proper photoshoot for your Instagram business account. In order to get the most out of your session, it’s important to plan and come prepared. Whether you’re taking photos to highlight your personality or showcase your products and services, it’s important that you have high-quality photos that match your branding. You can use these photos in your feed and Instagram Stories. In this blog post, I’ll show how you to make the most of your professional photo shoot and the kind of photos you need to take, including how to kick your photos up a notch. Simply put, personality photos are exactly like what they sound like. 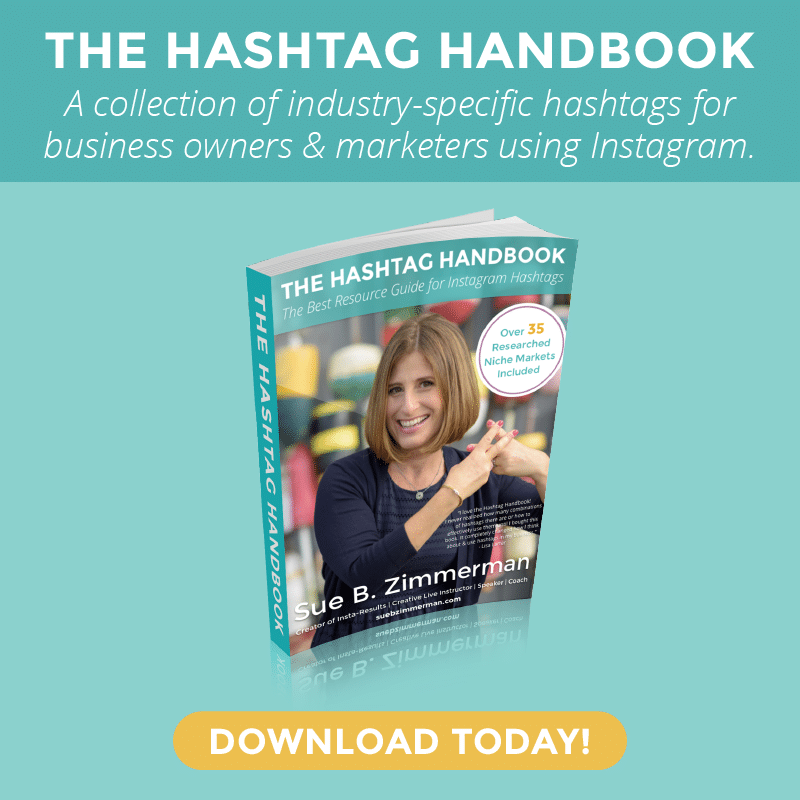 These photos are meant to show off your personality and show the face behind your brand. 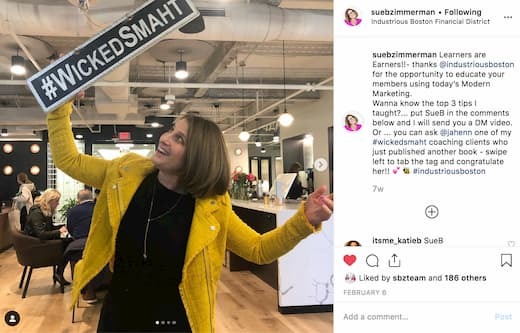 If you’re a brand or business that values one-on-one relationships with your customers, which really everyone should, personality photos should be part of your Instagram content strategy. What’s so great about personality photos is that they provide a nice content break from typical product or service shots. 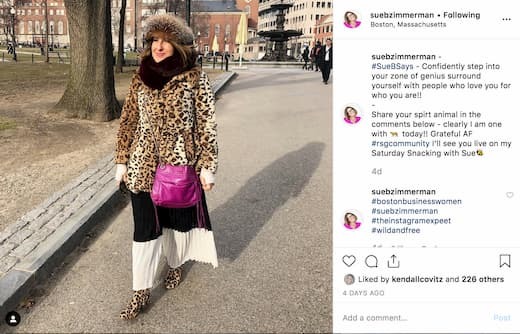 If you’ve seen either my business account, @TheInstagramExpert, or my personal account, @SueBZimmerman, you know that I love to share personality photos. From enjoying my daily green juice to exploring my neighborhood in Boston, these photos don’t necessarily showcase the classes or services that my business offers. But they do go a long way in connecting me with my followers, and helping to foster deeper relationships with my clients. 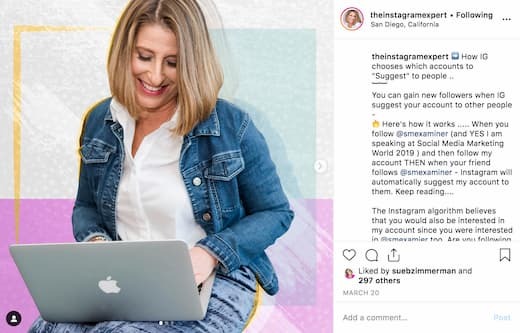 Sharing product or service photos are a must for any Instagram strategy, or even better, showing them in action, is an easy way to show how your clients utilize the things you’re selling. Even if you’re trying to get coaching clients, these photos can be really impactful. Sometimes, it could be as simple as taking photos at your workspace. Are you working from a desk creating artwork? Or a fitness pro working in a studio? Put your followers in the moment by taking them where you spend most of your time. For me, I’m always working on my phone or with my team on my computer. That’s why a lot of my professional Instagram photos include show me using technology. As you’re planning your photoshoot, just remember to set reasonable expectations for yourself and the photographer. Prioritize the photos that are most important, and share what you envision with the photographer ahead of time. Finally, there’s no denying that props are a sure-fire way to kick up your photoshoot. If I’m at a speaking gig or hosting a workshop, there’s a good chance that my hashtag signs are nearby. Maybe you want to feature your colorful nail polish or a ton of bracelets. Or possibly you have airpods on your desk or in your ears because you’re always on the go. Remember, the key to planning a successful photoshoot is taking snapshots that capture what makes you unique and why you stand out in your niche. 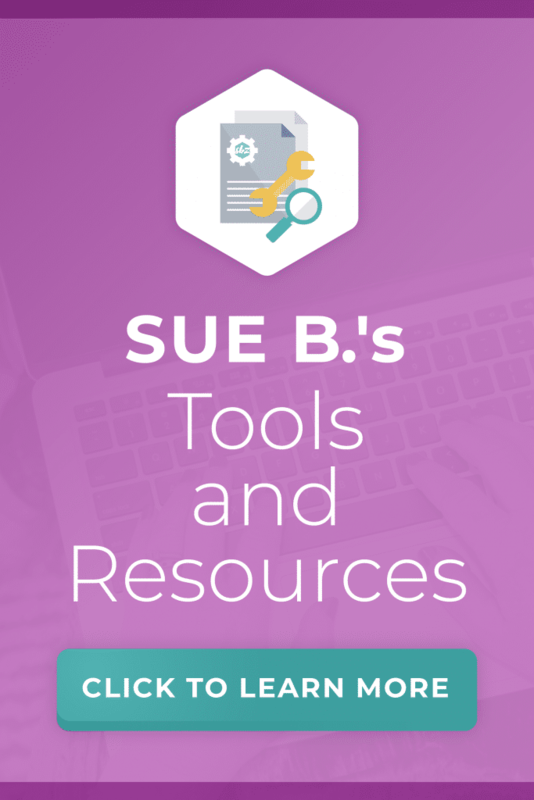 Does this blog post have you buzzing with photo ideas, but you don’t know where to start? 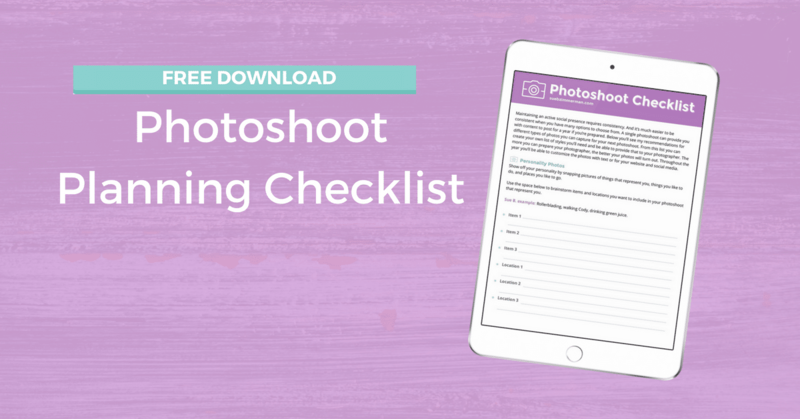 Now that you know the kind of photos you want to capture, grab my FREE Photoshoot Planning Guide now to brainstorm and plan ideas for your next photoshoot.